Source Marketing Direct pick up two major awards at industry award show. London-based Source Marketing Direct picked up two awards at a UK awards ceremony for the sales and marketing industry, highlighting the firm’s success over the last twelve months. The firm picked up both the ‘Comeback Owner of the Year’ & ‘Most Improved’ accolades at the ceremony held inside the famous Royal Festival Hall on London’s Southbank on 12 May. 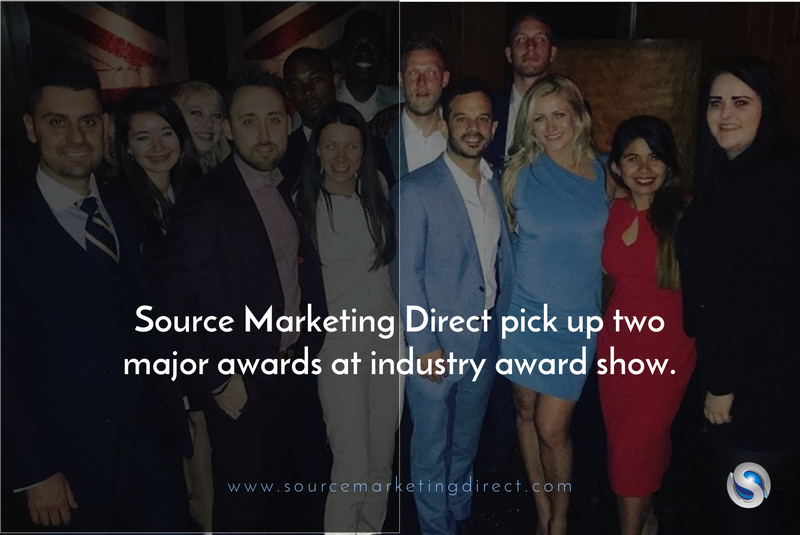 Source Marketing Direct are regular attendees of the annual event, but this year marked the first time in their organisation that they won awards in two major categories. The firm was also collective recipients of 16 additional accolades for their performance as brand ambassadors. After the ceremony, Managing Director Hector Montalvo took his contractors for a celebratory toast at the Novikov Lounge in Mayfair. The Managing Director believes what happens over the next 120 days will determine what 2018 looks like for his firm – and will also set the outsourced sales and marketing experts up nicely for 2019 and beyond. The business owner has spoken publicly on the topic of ‘mindset’, and considers a correct mentality to be the biggest contributing factor to Source’s success. The agency is now focused on maintaining this momentum and will have a further chance for reflection on the 3rd of June for their next regional meeting also in London. Next Next post: Millennials are distracted innovation kings, claims Hector Montalvo of Source Marketing Direct.